(Left) Dot collection : Round ring; (Middle) Dot collection : Star ring; (Right) Dot collection : Long Saddle ring. Charm of island inspired collection of John Hardy. For the comfort of modern style, the clean surfaces and feminine, material silver and 18 karat gold accented with natural stones designed into a wide variety of jewelry. Just look at the collection titled Bamboo is inspired by bamboo trees, or Dot, Dragon, Hammer, and Kali, which is inspired by the stones in the river. 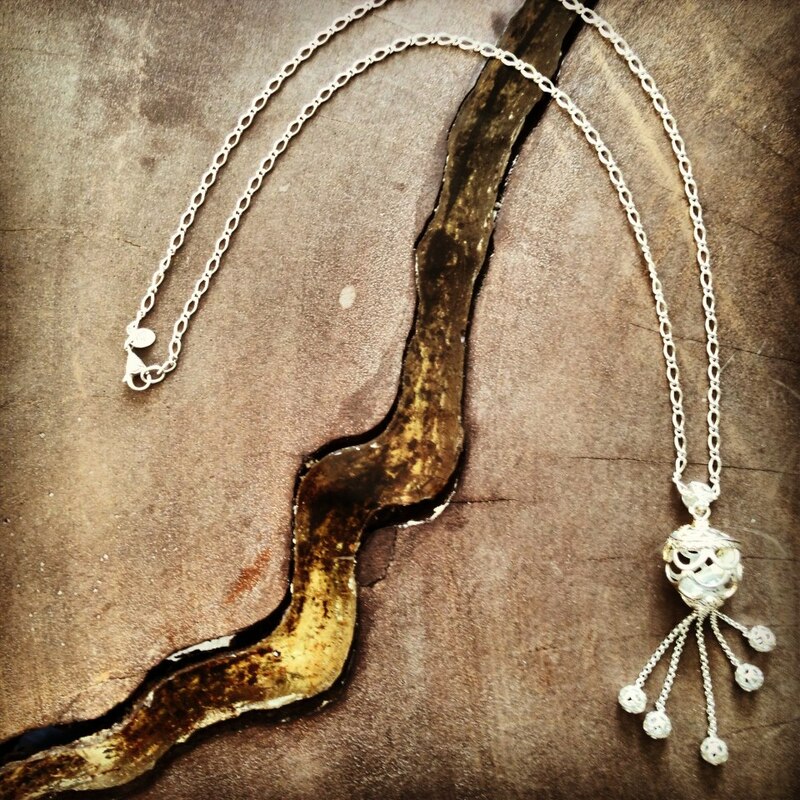 Naga collection : Ball Dangling Pendant on Chain Necklace. Explore the unique and beautiful shapes found in John Hardy-Naga Collection. 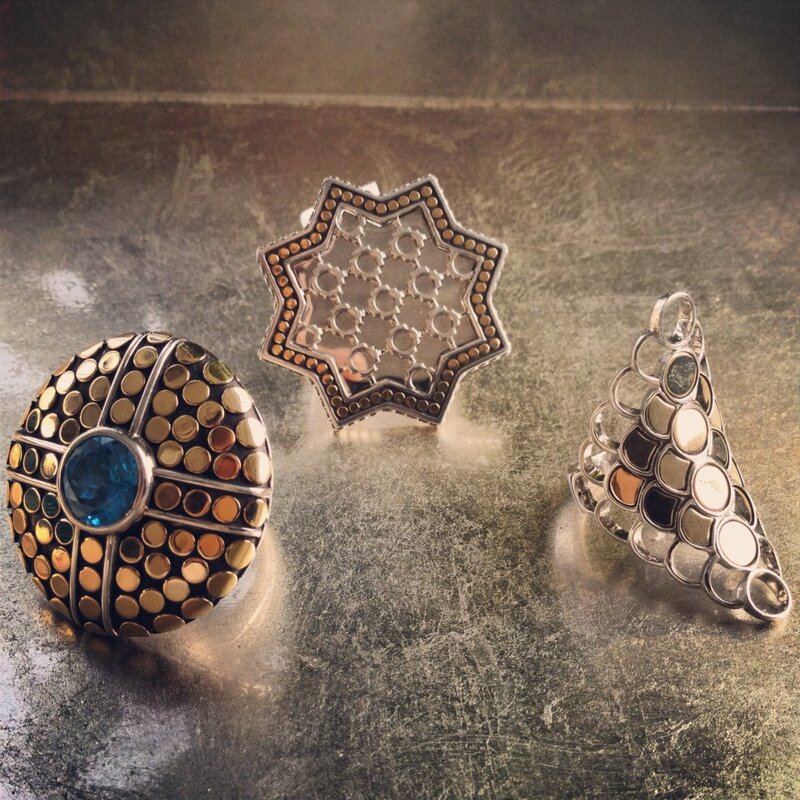 Any of these pieces would be a distinct addition to your jewelry box. 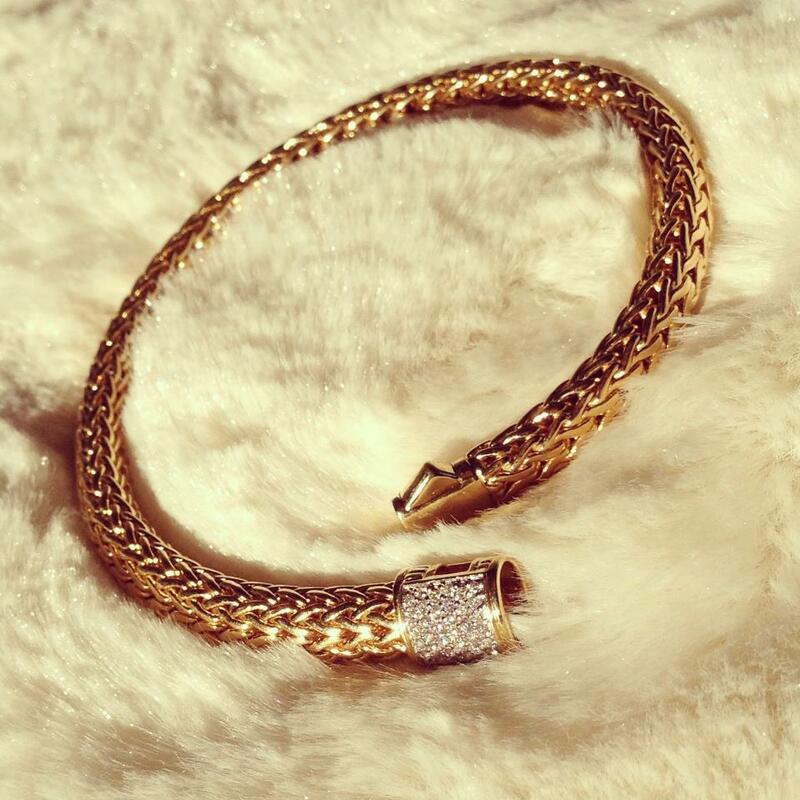 I feel extra elegant if i should wear this gold and diamond pave classic chain bracelet. 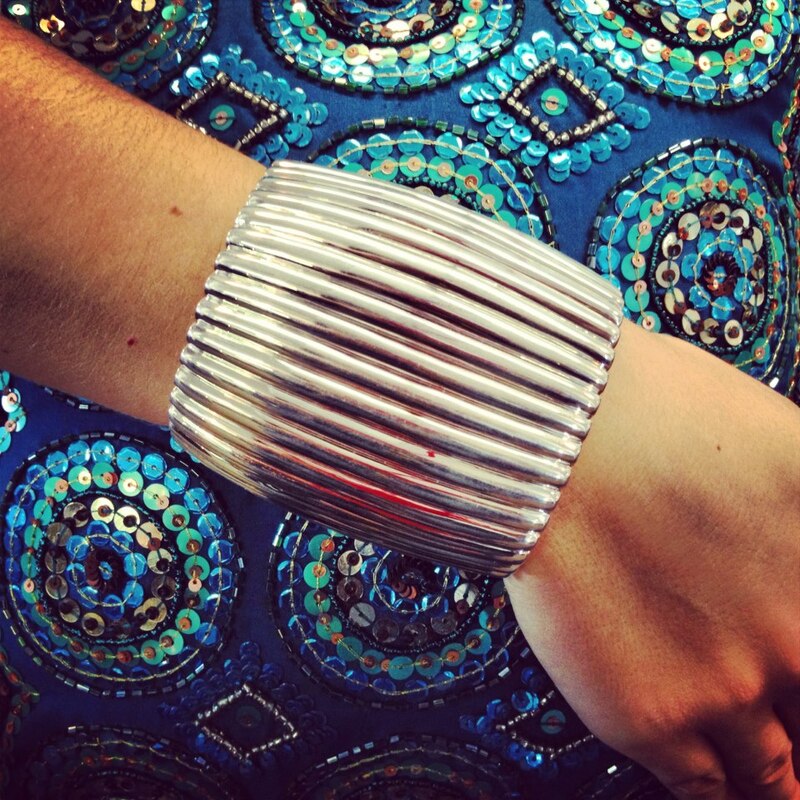 What’s more perfect than adding this cuff to our outfit today?